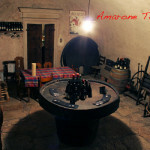 Amarone Tours, with more than 10 years of experience in guided tours and itineraries in Verona and the surrounding territory, is the local contact for the orgnization of winery tours in most important wine producing areas of the region: Valpolicella (where Amarone is made), Soave, Bardolino, Lugana, Custoza, Prosecco, etc. 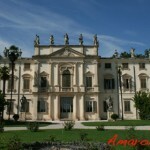 Newbies who want to know a bit more about Amarone and other great wines of Verona. Serious wine lovers who want to deepen their knowledge of Amarone unique making technique and compare different Amarone styles. Wine experts who are looking for specific, particular and rare wines. Wine professionals, sommeliers, restaurant owners, importers and distributors who need an expert wine guide in order to find new business opportunities. Art and history lovers who want to add a wine tasting to their tour along middle age castles, Romanesque parish churches, gorgeous Renaissance and Baroque style villas and breathtaking landscapes. For every one, the guides of Amarone Tours will design a fabuolous itinerary that will make the experience of a tour in Verona territory unforgettable. Wine tours can be organized both for small private parties and for bigger, organized groups. English speaking, wine expert guide. 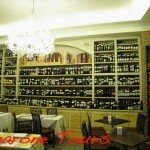 Tour design and selection of wineries (unless specific cellars are required by clients). Transportation. (Car, van or tourits coach if required). Pick up (if in Verona, train station, tourist information office or hotel). Wine shipping if you want to send few bottles of you favourite wine back home at the end of the tour. therefore the itemized total cost of a wine tasting tour will be calculated when requiring us an estimate. No metter if you are a single traveler, a couple or a small group of friends, we can organize the perfect winery tour in your favourite wine producing area around Verona, in Veneto, Trentino or Lombardia regions. We provide all inclusive winery tours were we take care of everything: transport on private car, English speaking guide, selection and booking at wineries, even wine shipping. If you are a travel agent, a company or a private organizing a group tour in Verona or northern Italy wine producing regions, Amarone Tours can become you local contact for the organization of everything. We will choose wineries that are big enough, with enough staff and with all the facilities required to host many people and provide an English speaking, wine expert guide that will accompany the group in the tour, doing the translation when required. Upon request we can provide transport on mini-van or tourist buses up to 55 seaters. Amarone Tours also organizes group tours for individuals where you can join other tourists in a wine tasting itinerary in Verona and northern Italy main wine producing regions. The tour includes transportation, English speaking guide, booking at wineries and wine tasting fees. Tours are confirmed only when reaching a minimum of 6 participants. Do not hesitate to contact us to check our schedule and know when our next winery tour is. rone is produced), or to other wine producing areas such as Soave, takes around 20-30 minutes by car. Pick up is included when organized from Verona train station (Porta Nuova), Tourist Information Office (Piazza Bra, the square where the Arena is) or hotel if within Verona. For pick up outside Verona, different rates will apply. Most wineries open 10:00-17:00 with lunch break from 12:30 to 14:30 and are generally closed on Sunday. Ideal starting time is 9.30/10.00 if in the morning, 14.00/14.30 if in the afternoon. In a half day tour up to 2 or 3 wineries, chosen among the most representative of the area, can be visited. With a full day tour it is possible to visit up to 4 or 5 different wineries or combine a visit to a few wineries with lunch in a typical restaurant and a visit to one of the many villas and parish churches that can be found in Valpolicella. Contct us now for an estimate, for general inquiring and more information. Fill in our form, send us an e-mail at: info@amaronetours.it or call +39 389 983 5269.